Alphonse Mucha, Gismonda, 1894, vintage poster, color lithograph, NSU Art Museum Fort Lauderdale; gift of Drs. Walter and Mildred Padow. 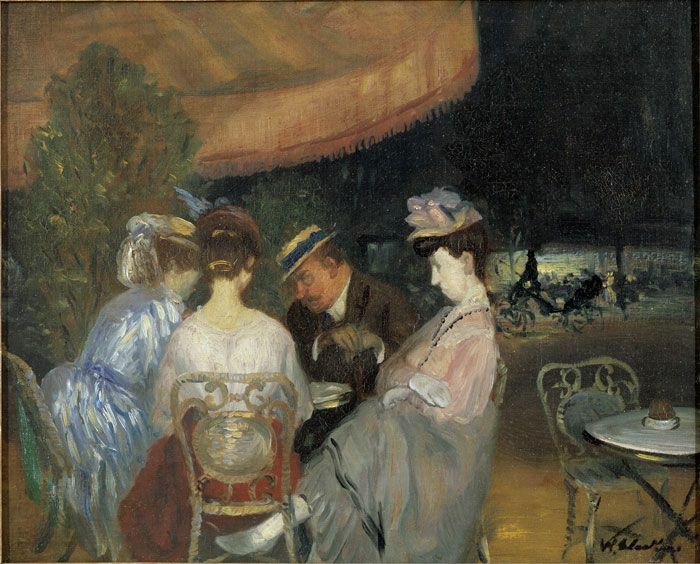 NSU Art Museum Fort Lauderdale will present Midnight in Paris & New York: Scenes from the 1890s – 1930s, William Glackens and His Contemporaries from February 4 through October 18, 2018. Featuring drawings, paintings and photographs by Eugène Atget, Brassai, William Glackens, André Kertesz, Henri de Toulouse-Lautrec, Alphonse Mucha, Pablo Picasso, John Sloan, Louis Comfort Tiffany and others along with distinctive architectural designs, furniture, glass, metalwork and silver, this new exhibition offers a fascinating glimpse into the rapidly changing society of the turn of the century and life in the new modern city. The Museum’s Sunny Kaufman Senior Curator Barbara Buhler Lynes, Ph.D. curated the exhibition. During these decades, the completion of the Eiffel Tower (1889) and the Basilica of Sacré-Coeur (1914), among other architectural achievements redefined the Parisian skyline, as did skyscrapers in New York, such as the Flatiron (1902) and Woolworth (1912) buildings. The population of both cities surged with the influx of immigrants and people from rural areas, which increased diversity, and led to building booms, the establishment of businesses, and the opening of department stores that acquainted people with the latest fashions, household products and furnishing. Newspapers and illustrated popular magazines flourished and their wide distribution disseminated new ideas and trends. Inventions like the airplane, automobile, escalator, elevator, light bulb, neon, movies, telephone, and radio revolutionized how people communicated, lived, worked and spent leisure time. 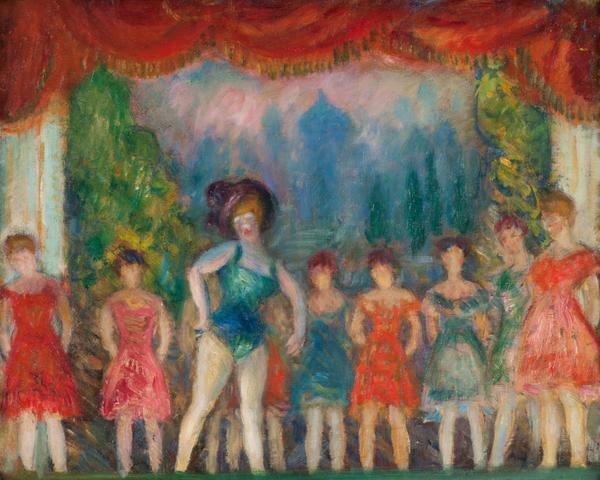 Highlighted in the exhibition is NSU Art Museum's distinctive William J. Glackens art and archival collection, the largest holding of the artist's work in the world. Works on loan and from the museum’s collection by Berenice Abbot, Eugène Atget, William Bradley , Brassaï, Daum, Edith Dimock, Emile Gallé, William J. Glackens, Jabez Gorham, Hector Guimard, René Jacques, André Kertesz, Marie Laurencin, George Luks, Henri de Toulouse-Lautrec, Alphonse Mucha, Pablo Picasso, Maurice Prendergast, John Sloan, Louis Comfort Tiffany, and Edouard Vuillard add to the exhibition’s recreation of the ambiance, environment, and historical context of the dynamic period in which Glackens lived and worked. 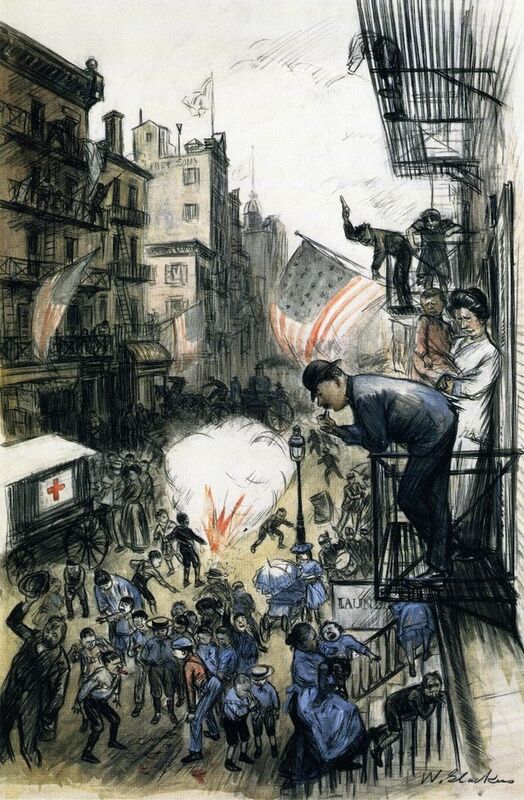 William J. Glackens’s Patriots in the Making,1907, from Patricia O’Donnell.